WRESTLING LEGEND JIM “The Anvil” Neidhart has passed away aged 63. Neidhart, the father of current WWE superstar Natalya, was best known as one half of the 80s and 90s tag team The Hart Foundation. Alongside his brother-in-law Bret Hart, he would hold the tag team championship twice. Neidhart began his wrestling career after time in the NFL, where he played with the Oakland Raiders and Dallas Cowboys. He was trained by WWE Hall of Famer Stu Hart in the infamous Hart Dungeon in Calgary, Alberta, Canada. He was given his nickname after winning an anvil throwing contest. During his training, he met and married Stu’s daughter Ellie and would team with Bret in WWE. After some time teaming with Bret’s younger brother Owen and some singles competition, Neidhart would join the reformed Hart Foundation in 1997 alongside Bret, Owen, Brian Pillman and The British Bulldog Davey Boy Smith. The anti-American faction would become massively popular both in the US and abroad. He moved to WWE rival WCW in 1998 but was eventually released before making sporadic WWE appearances. Bret Hart tweeted that he was “stunned and saddened” at the loss. WWE’s executive vice president of talent Triple H said that “the only thing bigger than his on-screen character was his heart”. Email “Wrestling legend Jim 'The Anvil' Neidhart passes away aged 63”. 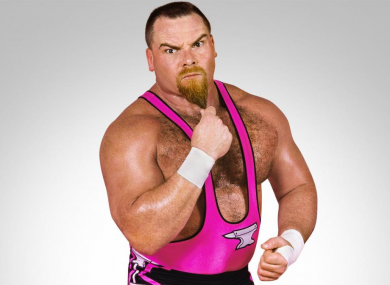 Feedback on “Wrestling legend Jim 'The Anvil' Neidhart passes away aged 63”.